If you follow me on Instagram, you already know that Jeans are my JAM. I usually wear Jeans 7 days of the week, which is why I was so excited to partner with Marks, #1 Jeans Retailer in Canada, to find the perfect pair of Jeans. Mark's has over 70 styles of jeans for women from the country's most popular brands - including Silver, Levi's and Buffalo in addition to their in-house brands. Jeans are a staple in any Canadian Women's closet. They are so versatile and can be worn for any occasion from a casual day of running errands to a night out by dressing them up with a blazer and heels. Today I'm sharing some of my best tips for finding the perfect pair of Jeans for any body type. Before you find the perfect pair of jeans you need to take a good look in the mirror and determine your body type. Body Type is not a reflection of your weight or size but a relation of your waist to your hips and thighs. When looking for Jeans you will fall into one of these three categories. Also referred to as an hourglass figure. You are curvy if your waist is smaller than your hips and thighs. I am a Curvy body type. Sometimes referred to as a ruler figure. You have a Straight Body Type if your waist, hips and thighs are are aligned. Sometimes referred to as a Diamond. You have an Inverted Triangle body type if your hips and thighs are smaller than your waist. Inside these Body Types there are also women who full into sub categories of Tall, Plus or Petite. This will not necessarily affect your FIT but the length of the Jeans. 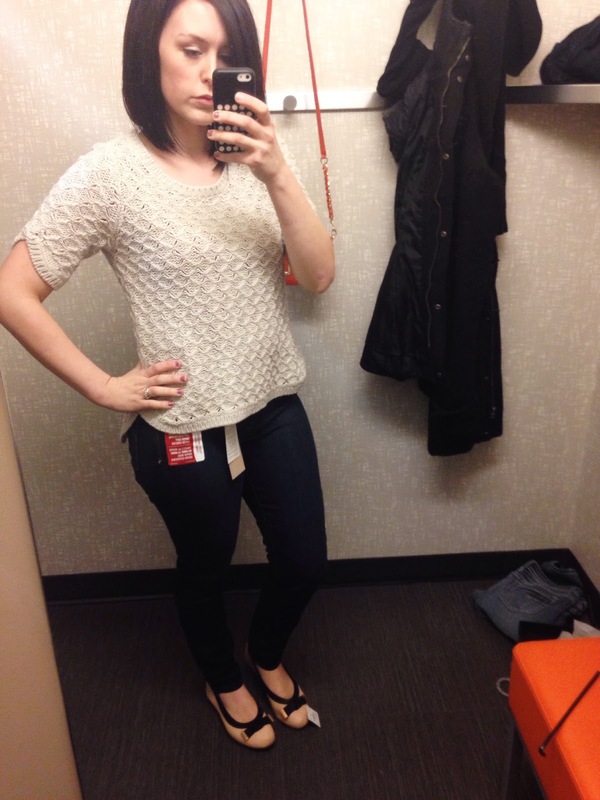 Once you have figured out your body type it's time to try some Jeans on! Head to a Marks store near you and talk to the sales associate. They can help you find the right fit for your body type. 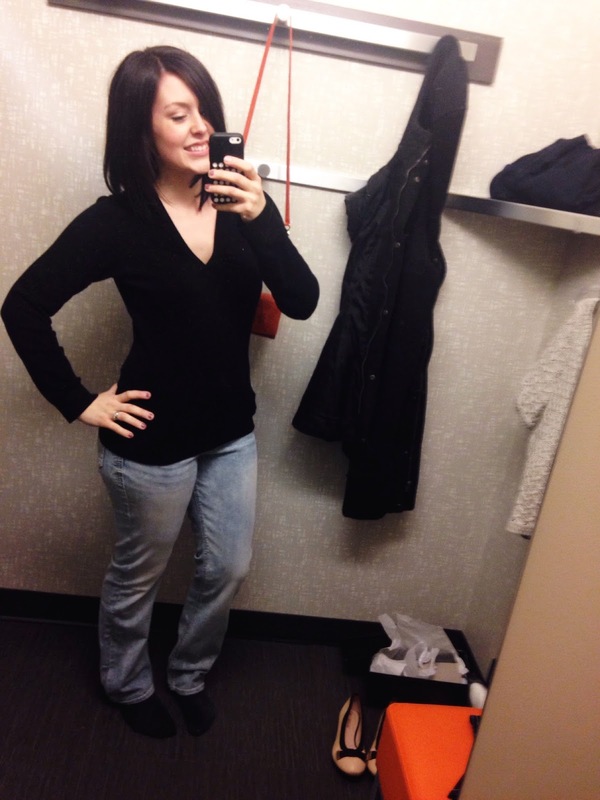 When you know your body type and fit, it makes finding the perfect pair of Jeans super easy and quick! This is when you can play around with different washes and leg silhouettes! I can't even tell you how excited I am that Flares have made a comeback. I have rather wide thighs and skinny jeans drew all the attention up to them! Wide Leg pants are great for women with wider hips/thighs because they draw the attention to your lower half creating balance. 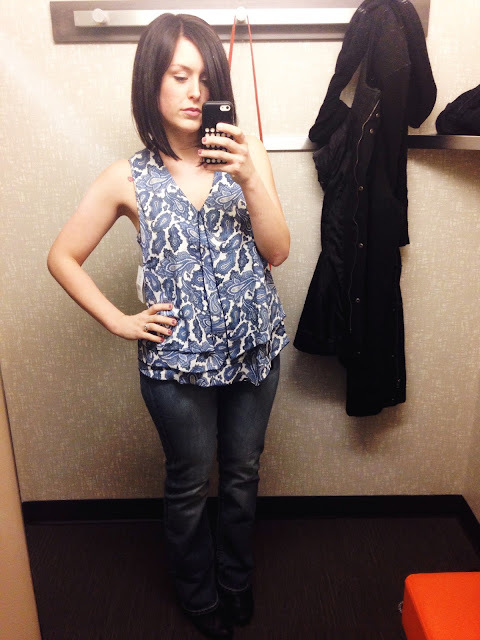 Straight leg jeans are the most versatile for all body types. These can be worn with any shoes or boots because the knee is in line with the leg opening. I ended up with a straight leg jean that I wear cuffed at the legs with a cute pair of ankle boots! Skinny Jeans and Jeggings can be worn with any body type as long as you watch for the STRETCH. Make sure you find a pair with a great stretch so it can adjust to your body type. 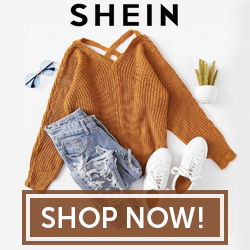 The key thing to remember when shopping for a great skinny is to go one size smaller so they fit snug and flatter whatever your body type may be. Since I have bigger thighs I like to wear my skinnies with boots to draw some attention to my lower half. I love a good pair of Dark Jeans. Dark washes are best for any body type and are the most versatile of washes. A nice medium wash can be both casual and dressy depending on the detailing. Light wash is usually the hardest wash to pull off but when done right they look stunning! If you follow me on Instagram, I've already told you that I found the MOST COMFY pair of Jeans EVER! Like legit feel like I'm wearing sweats but have the look of Jeans. 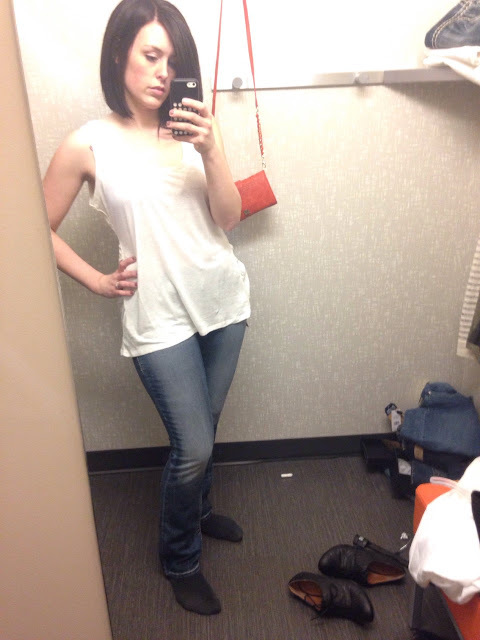 The Jeans I am wearing in the photo above are Suki Mid Straight Jeans By Silver . You all need to go out and buy some like, NOW. The straight legs are perfect for girls with Curves because of their straight leg and stretch. If you have curves like me, you've probably ran into the problem of Jeans fitting in the legs but gapping in the back. These are so stretchy that they conform to your body's natural curves. They are so soft that it literally feels like I'm wearing my favourite pair of Yoga pants. Want your OWN pair of Jeans? Head over to my Instagram @kelseydianeblog to enter to win a $100 gift card to Marks. WoW! Who knew Mark's has over 70 styles of jeans for women! Impressive! Love your tips on finding the perfect pair! I'm thinking I'm a straight body type that likes a medium wash wide leg. Love the look of your Suki Mid Straight Jeans! Thanks for a great post and giveaway! Seriously, wow! Who would have thought to head over to Mark's for fashionable jeans! ?